​Ghost tours, workshops and Mediumship Demonstrations on sale now! ​Honour someone special in the pages of my new children’s book!! “The Other Side of the Oak Tree: A collection of stories to guide your child's spiritual growth and awareness"
Limited to 1000 copies, secure your copy by joining the pre-order list HERE. ​Past Life readings can now be booked with Anthony! 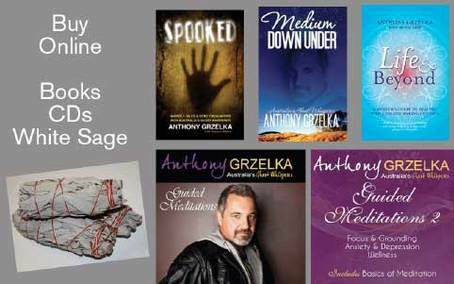 ​Anthony offers Mediumship Readings, Psychic Readings, Past Life Readings, Spiritual Guidance appointments, as well as his unique 'Soul Talking' readings. Click the private reading link on the left for more information. 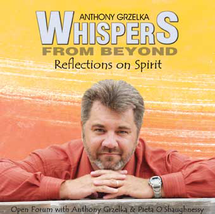 Listen in as Anthony provides answers to the most common questions he is asked as a medium. The best way to stay informed of upcoming events / seminars, workshops, special appearances and general news is to subscribe to our free monthly newsletter & to join us on facebook.